This porch makeover was inspired by the letters EAT. 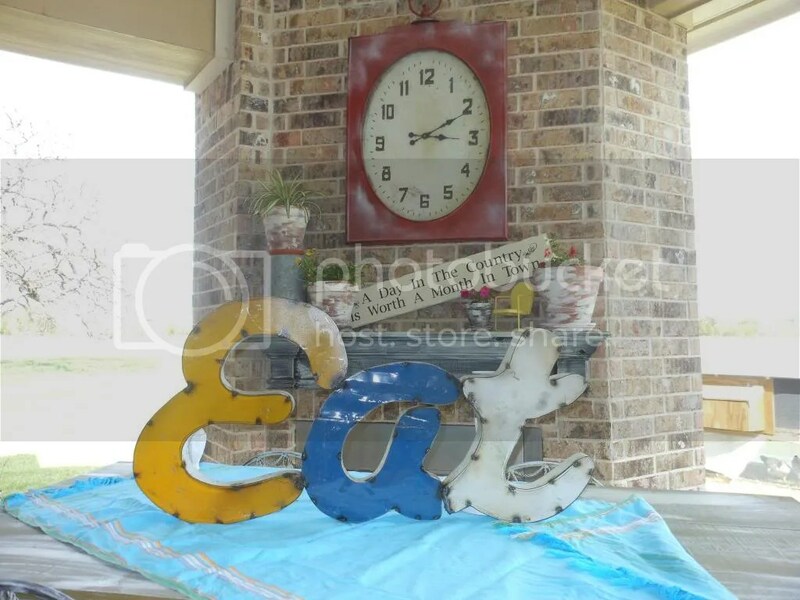 This word “EAT” will be in my booth at Hermann’s Antique Mall in Downtown Brenham along with a few others that spell GARDEN and WINE. Drop by and pick up a few letters of inspiration for your makeover. The rag rugs below add a punch of color for spring. 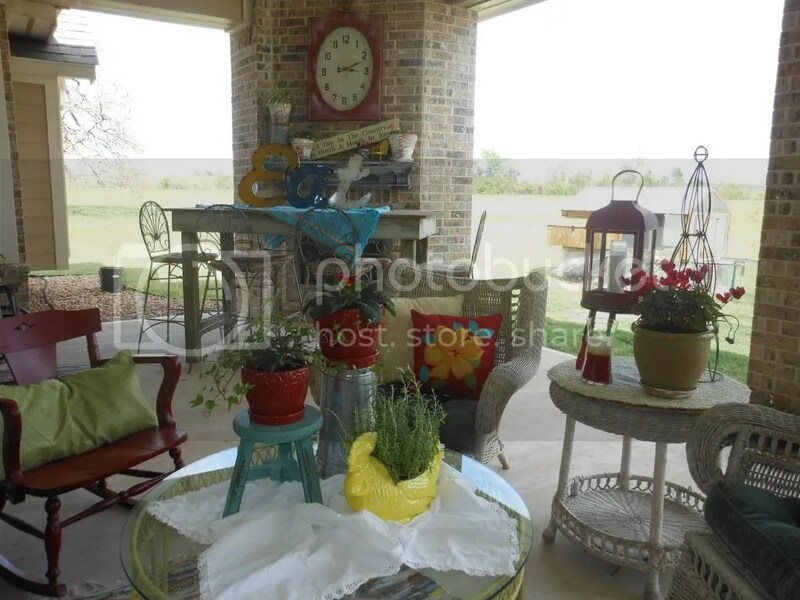 Adding some inside touches like the ceramic hen, vintage table cloths and pillows make it more inviting. I like to elevate my accessories with little stools or upside down pots. Who would like to come sip some iced tea and sit a spell on the porch? Next Post The Last of It, But…Round Top Year Round??? Let me know which one you would like and I will give you a good deal!